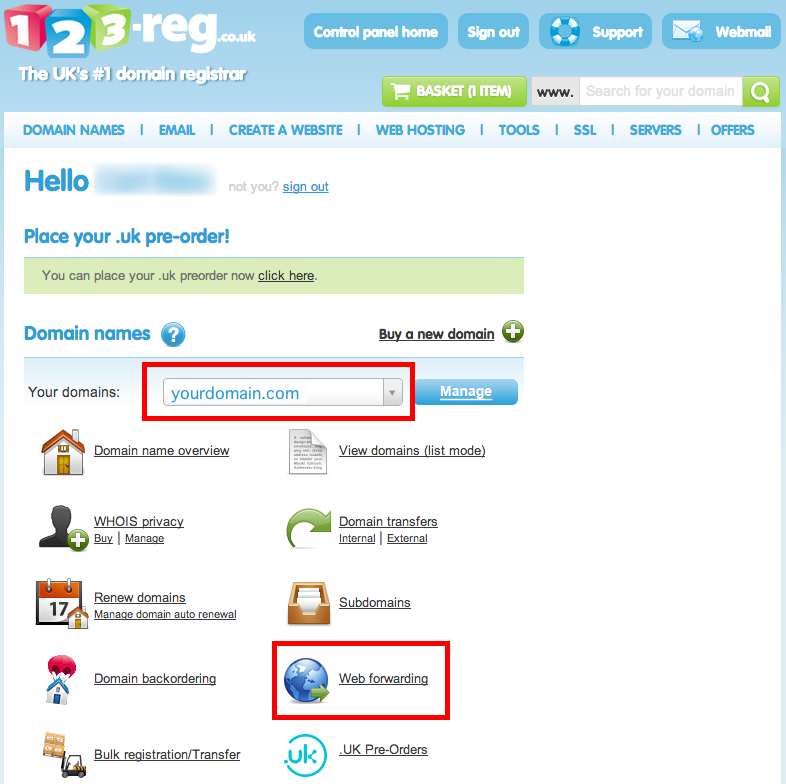 Connect your 123-Reg.co.uk domain name to your site. 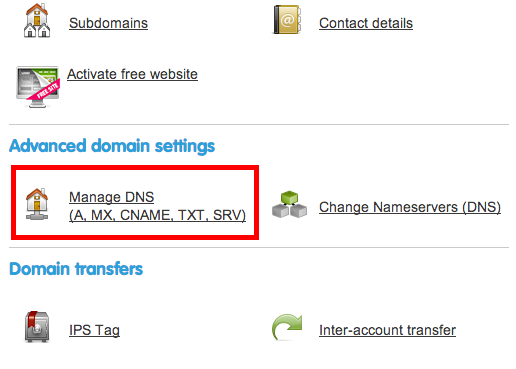 Under 'Domain Names' select your domain name. 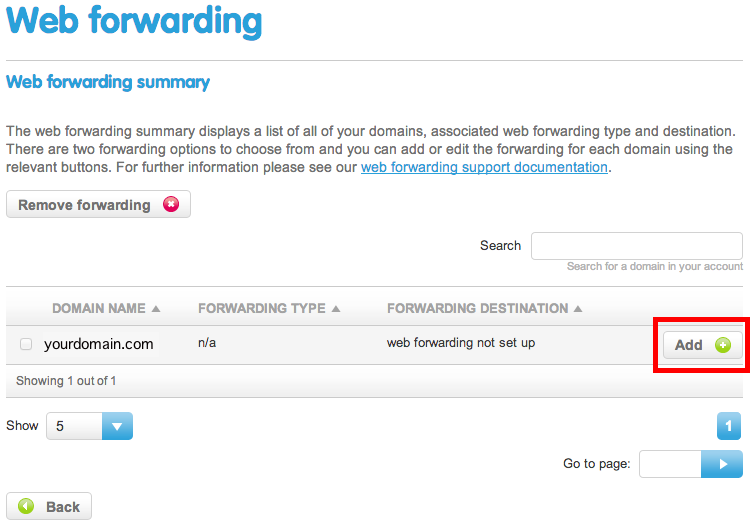 The Web Forwarding as been added. The CNAME record has been added. 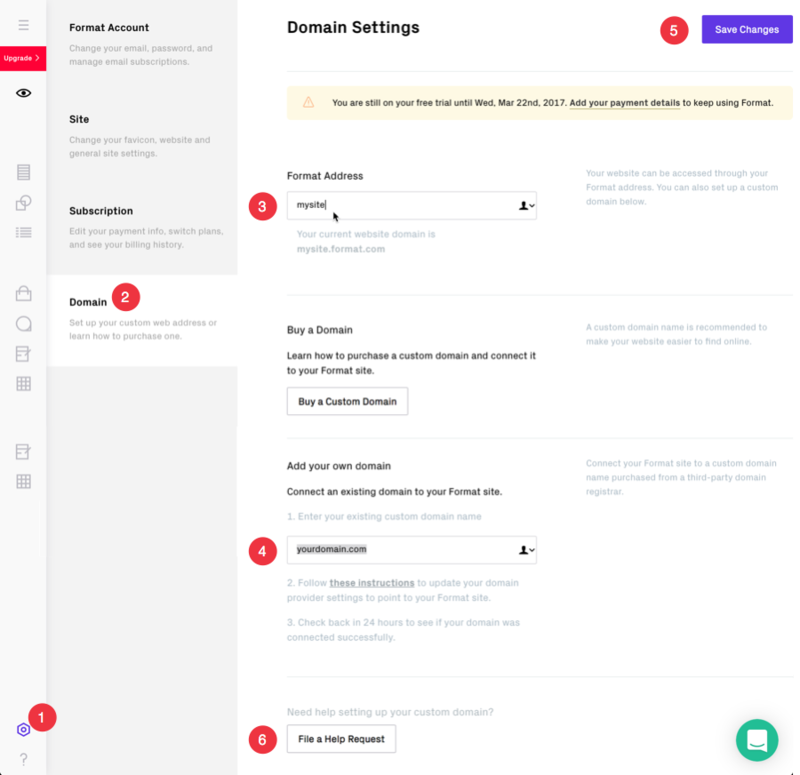 Changes to your registrar's site are not instant! 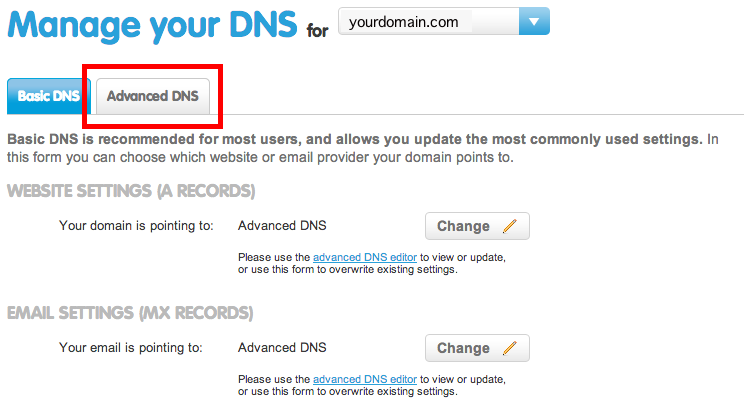 They can take up to 48 hours to take full effect (however, it usually takes a few hours).It's best to check your connection after one day.You will know that your domain connection is working when you enter yourdomain.com and your Format site loads with https://www.yourdomain.com in the address bar. Be sure to check that www comes up in the address bar.